I have a what I think is a hollow handle berry fork with stainless tines and what I believe is a silver plate handle. 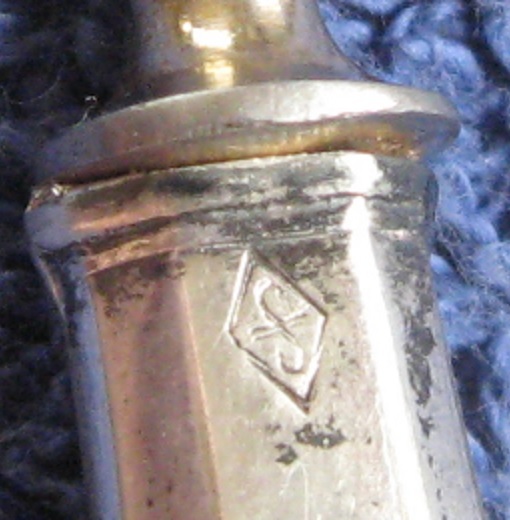 The maker's mark appears to be either an "S" or scripted "f" with a line through it inside of a diamond. As always, your help is greatly appreciated. Re: S or script F mark on Berry Fork?